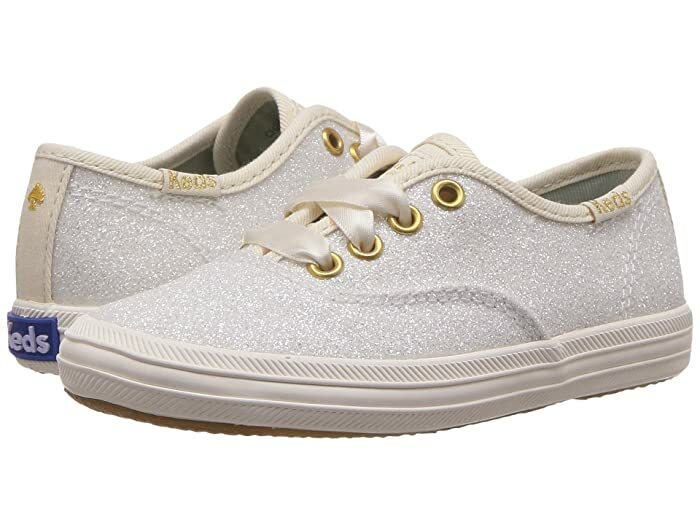 Check out your new glittery obsession! 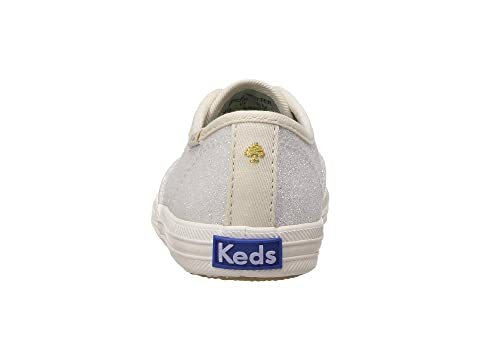 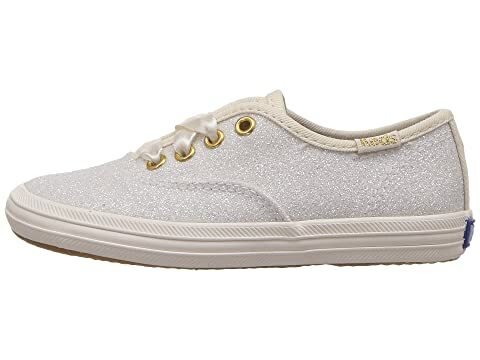 Canvas upper covered in crushed glitter features Kate Spade® New York logo and detailing. 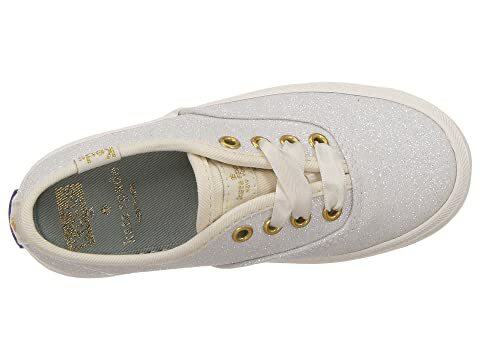 Two sets of laces: tonal ribbon lace with metal aglets and cotton lace with metal aglets. 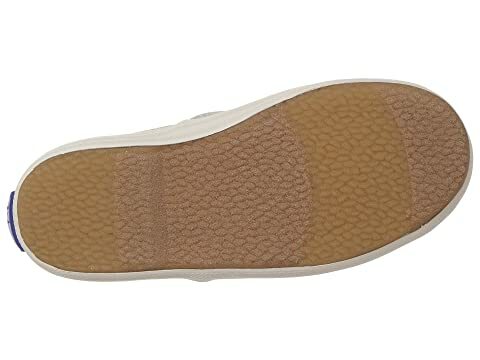 Soft breathable lining with cushioned insole. Note: These kicks were dipped in glitter for an extra dash of glamour. 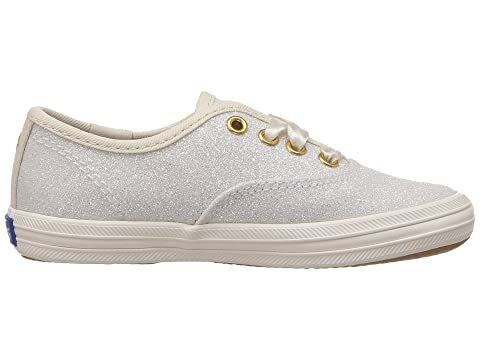 They'll lose some shine with wear but will always add a sparkle to your step.